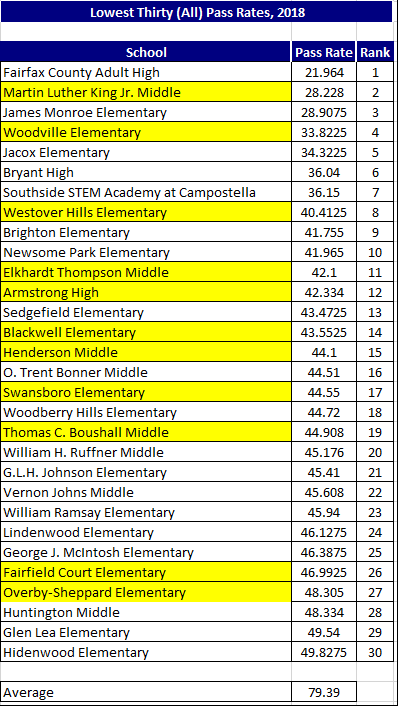 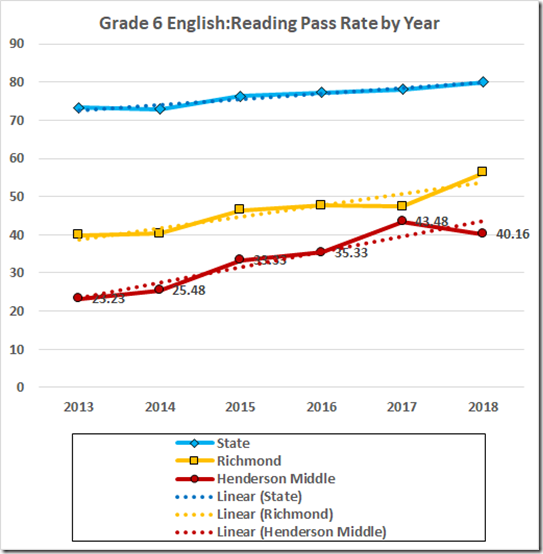 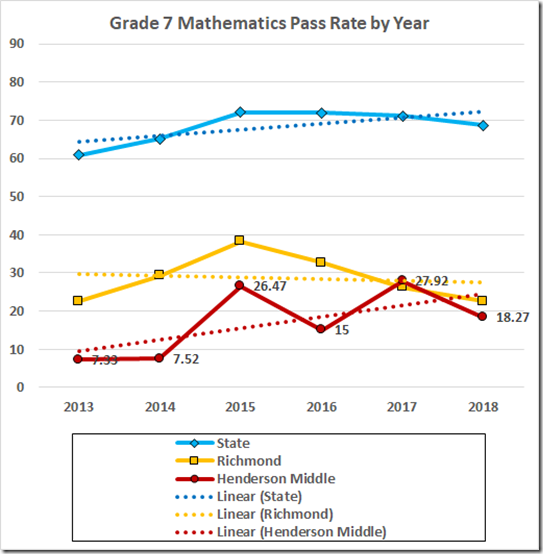 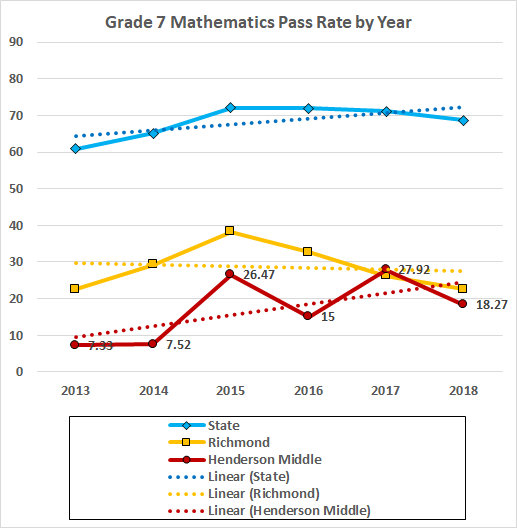 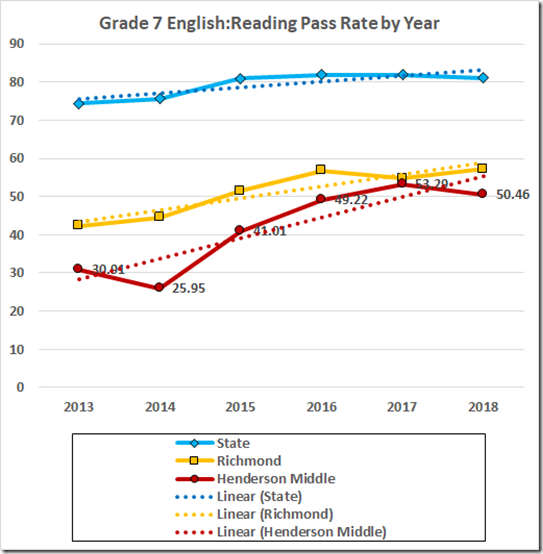 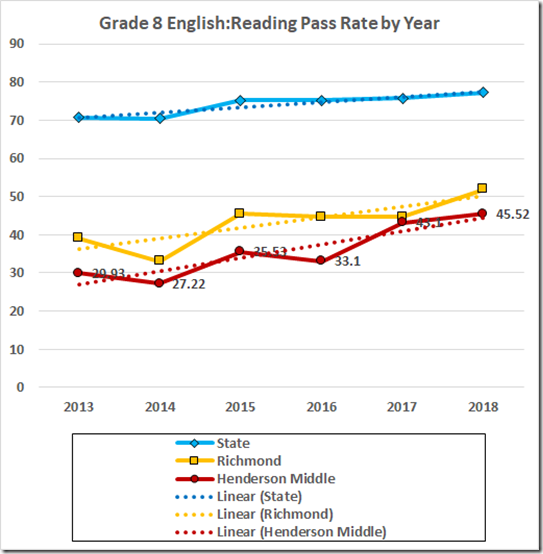 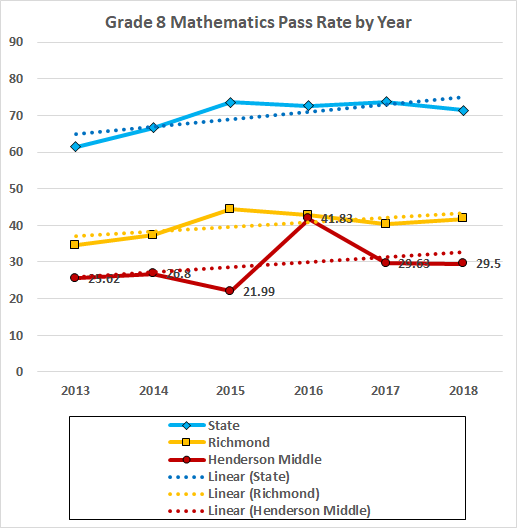 Richmond’s third-worst Middle School, Henderson, was 15th from the lowest in the state this year in terms of the five-subject average SOL pass rate. 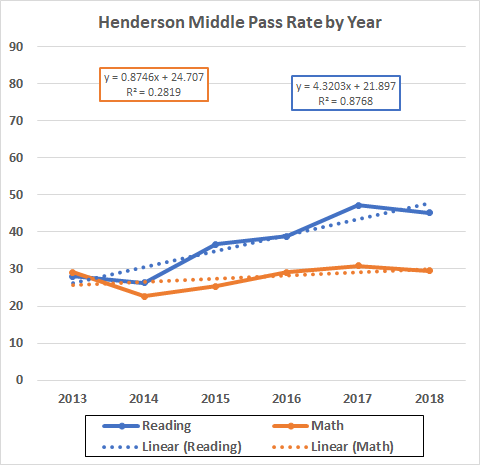 Over the past five years, Henderson has increased its math score from 29.05 to 29.53 and its reading pass rate from 28.01 to 45.21. 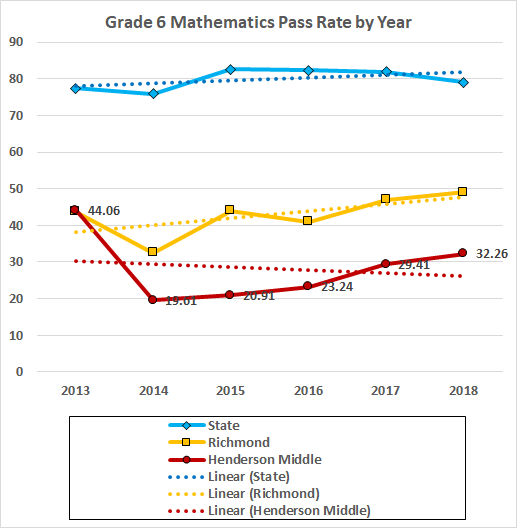 Both pass rates declined this year. 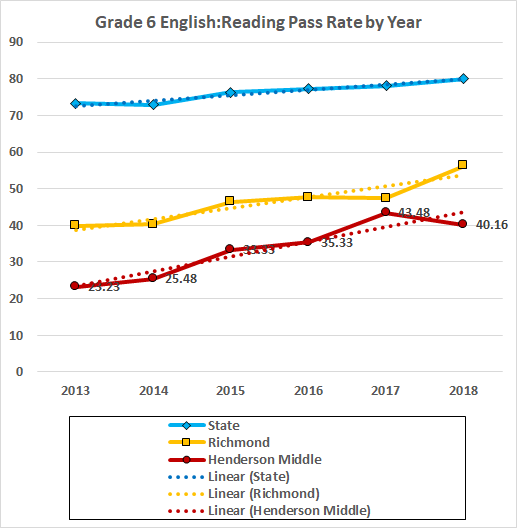 The line fitted to the reading data extrapolates to the (former) reading benchmark in nine years; the math, 46 years. 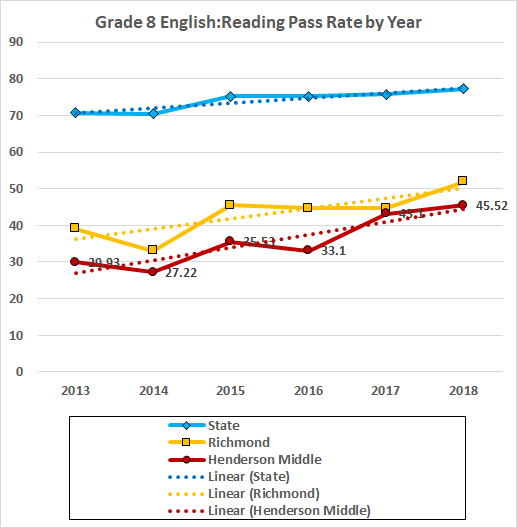 Here are the data by subject and grade. 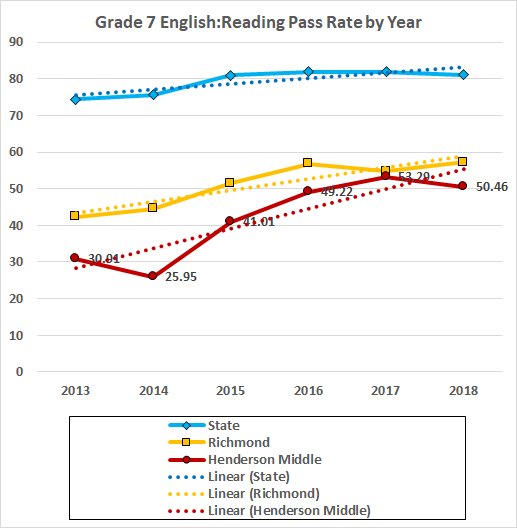 The reading scores are merely awful; the math, appalling. 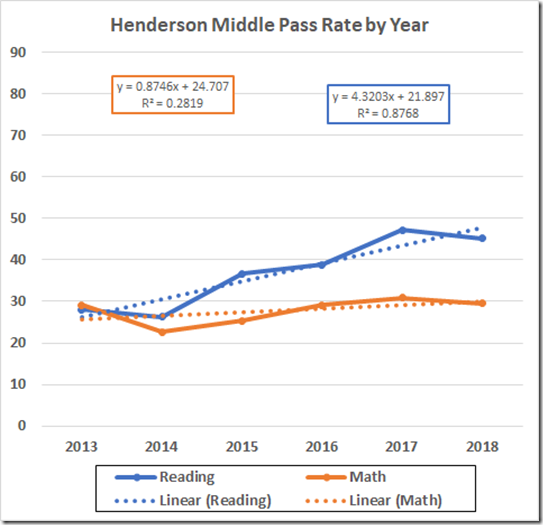 More Teachers? 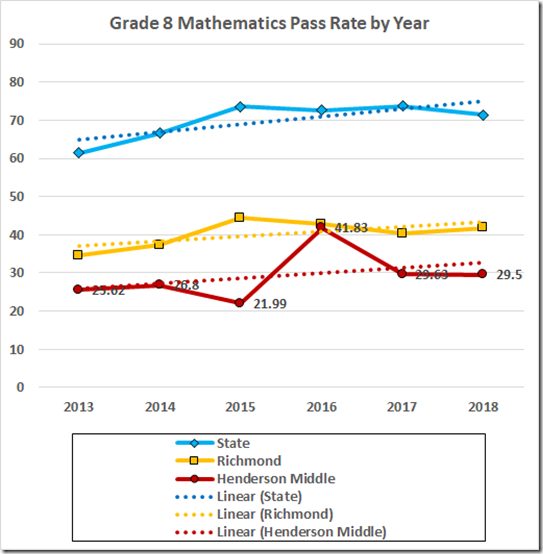 More Schools? 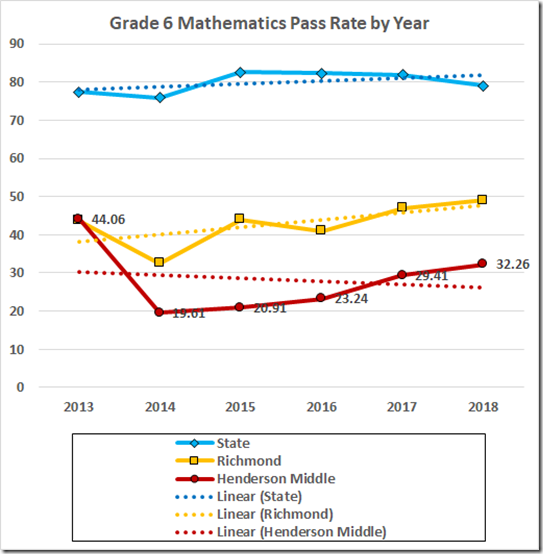 No More Learning?